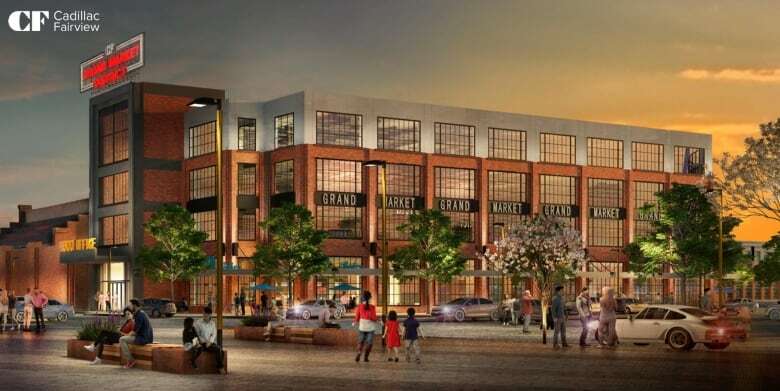 The CF Grand Market District will combine restaurant, retail and office space. There are also long-term plans for additional office, residential and retail space, as well as a parking structure. The CF Fairview Park mall in Kitchener will be getting a major facelift starting this spring. Cadillac Fairview announced it is investing $70 million to transform the site "from a traditionally enclosed retail mall format to a mixed-used model." The project, which has been dubbed the CF Grand Market District, will combine restaurant, retail and office space. There are also long-term plans for additional office, residential and retail space, as well as a parking structure. "CF Fairview Park has served the Kitchener-Waterloo community for over 50 years, providing exciting retailers, restaurants and other services to our guests to create an exciting shopping destination," Wayne Barwise, the executive vice president of Development for Cadillac Fairview, said in a release. "We are proud to continue investing in this vibrant, growing community with an ambitious plan that is inspired by the region's past and motivated by our desire to bring people together." The first phase of the project is expected to break ground in the spring and is targeted for completion in 2021. Cadillac Fairview says the former Sears building will be repurposed to create retail space, adding that the exterior of the Kennedy-era style building will be reclad in some areas and restored in others. There will also be a new freestanding office building called the West Building. The company says the architecture will "pay tribute to the city's Victorian-era industrial past" and will incorporate environmentally sustainable features, including 1,500 solar panels on top of the former Sears building. The plans also include a "pedestrian-friendly streetscape," as well as a terminal for the new LRT system. "We're excited to see Cadillac Fairview's vision come to life as they reimagine the retail experience in our community," Kitchener Mayor Berry Vrbanovic said in the release. 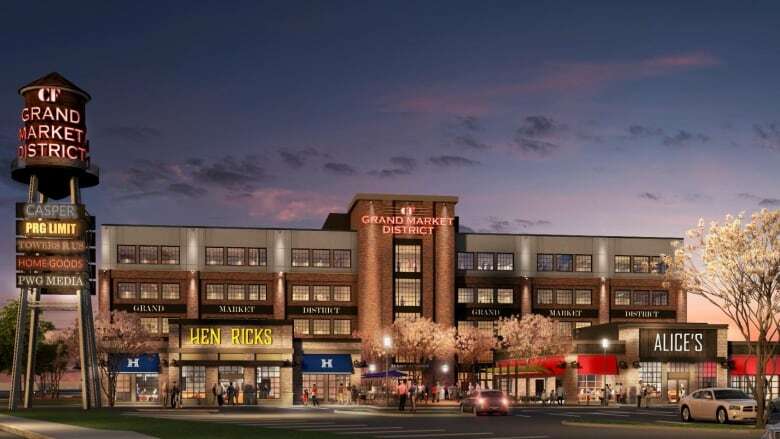 "CF Fairview Park has been an important part of our community for decades and we're especially pleased with their focus on sustainability with this mixed-use design that will provide residents even more space to work, shop and play."